Tag line: "Words lose their meaning when you repeat them"
With Pontypool, director Bruce McDonald proves the old adage that “less is more”, crafting a gripping, often intense horror / thriller that rarely ventures from its central location (aside from a brief opening sequence, when Grant, while on his way to work, encounters a scantily-clad woman wandering the streets during a snowstorm, Pontypool takes place inside the underground studio, where Grant, Sydney, and Laurel Ann listen to the carnage unfold as opposed to seeing it for themselves). The scenes where Ken, who’s mixed up in the middle of it all, is issuing his reports are harrowing, to say the least, and even though we don’t witness it ourselves, his description of events makes us feel as if we’re right there with him. Soon, the virus does make its way to the station, at which point we see (in sometimes brutal, gory fashion) just how deadly it really is. Holding the film together is star Steven McHattie, perfectly convincing as an arrogant DJ tossed headfirst into a nightmare; and the concept that a virus can be spread via language is both unique and horrifying (every person has their own “trigger”, that word or phrase that opens the door to the infection, and not knowing which word will be the one to set them off makes it all the more frightening). 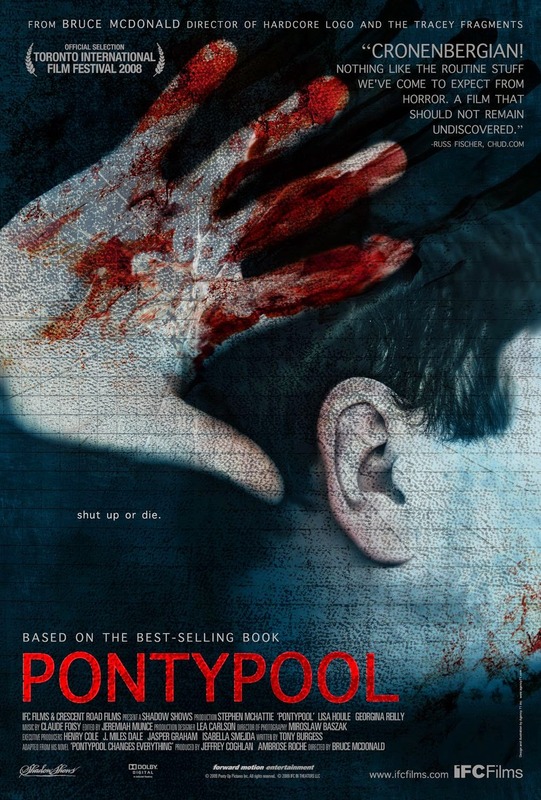 Firing on all cylinders, Pontypool is, from start to finish, a riveting motion picture. Great review of a great film that deserves to be seen by a lot more people.